Dr. Rubin graduated with honors from the University of Chicago Pritzker School of Medicine and completed his internship, residency, and fellowships in both gastroenterology and clinical medical ethics at the University of Chicago. He is the Joseph B. Kirsner Professor of Medicine; chief of the Section of Gastroenterology, Hepatology, and Nutrition; and codirector of the Digestive Diseases Center at the University of Chicago Medicine. Dr. Rubin previously served for 11 years as director of the Gastroenterology, Hepatology, and Nutrition fellowship program. He also is an associate faculty member at the Maclean Center for Clinical Medical Ethics and an associate investigator at the University of Chicago Comprehensive Cancer Center. 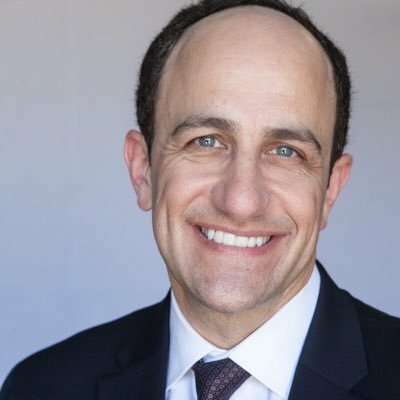 Dr. Rubin is the editor of a best-selling book on inflammatory bowel disease (IBD), now in its second edition, and an author or co-author of many peer-reviewed articles on IBD, virtual colonoscopy, genetic testing in IBD, and cancer in IBD. He is also a featured media contact for issues related to IBD, appearing on satellite radio, on television, and in print media. His principal research interests include novel IBD therapies and outcomes, colon cancer prevention, and clinical medical ethics. Dr. Rubin is a fellow of the American Gastroenterological Association, American College of Gastroenterology (ACG), American Society for Gastrointestinal Endoscopy, and American College of Physicians, and he is an active national member of the Crohn’s & Colitis Foundation of America and is on the Board of Trustees for the ACG. 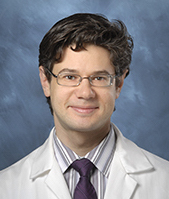 Chosen by his peers as a member of Best Doctors (recognized for superior clinical ability) and America’s Top Physicians (gastroenterology), he twice received the ACG’s Governor’s Award of Excellence in Clinical Research (2003 and 2013), the Cancer Research Foundation Young Investigator’s Award (2004), and the University of Chicago Postgraduate Teaching Award in recognition of significant contributions for fellowship education (2006). In 2012, Dr. Rubin received CCFA's Rosenthal Award, a national leadership award bestowed upon a volunteer who has contributed in an indisputable way to the quality of life of patients and families. Dr. Melmed is Director of Clinical Inflammatory Bowel Disease (IBD) and Associate Professor at Cedars-Sinai Medical Center. His main clinical and research interests are clinical outcomes in inflammatory bowel disease, including health-related quality of life, post-operative outcomes, vaccination and health maintenance issues, and quality of care. He has authored or co-authored over 90 publications and serves as the IBD Associate Editor for the American Journal of Gastroenterology. He is an active member of CCFA and co-chairs CCFA's national Quality of Care Committee, and is a past chair of the IBD section of the American Gastroenterology Association's Quality Measures Committee. Dr. Melmed received his medical degree from Albert Einstein College of Medicine. He completed his residency at Cedars-Sinai Medical Center and his gastroenterology fellowship at UCLA, where he also received a master's of science in clinical research. He is board-certified by the American Board of Internal Medicine in gastroenterology. Michele Rubin is an Advanced Practice Nurse (APN), masters prepared as a Clinical Nurse Specialist and Certified in Gastroenterology Nursing and is the Associate APN Director of the IBD Center at University of Chicago Medicine (UCM). She has 39 years experience in IBD at the UCM ranging from positions in nursing leadership, IBD research, to IBD Clinical Nurse Specialist. She works closely with a multidisciplinary IBD patient management team, managing the pre-operative and post-operative follow up care of IBD patients. She manages the long term follow up of patients with a J pouch and associated complications such as pouchitis. In addition, Ms. Rubin lectures on IBD across the country and has co-authored numerous articles and written chapter on Surgical Management in IBD. She is a member of the Society of Gastrointestinal Registered Nurse Association and is a professional member of the Crohn’s & Colitis Foundation of America (CCFA). She initiated a CCFA Nursing Initiatives Committee which has evolved into the Nurse and Advanced Provider committee comprised of 20 IBD nurses/APN's/PA's across the country to facilitate and promote IBD patient and professional education, establish IBD quality standards of nursing practice and develop educational programs for nurses and patients. Ms. Rubin is also the Director of more than 250 Advanced Practice Nurses at UCM and responsible for ensuring appropriate utilization of APN's, oversees credentialing and privileging process, quality monitoring and productivity for APN's. She is a strong advocate for APN practice and a member of the Center for Advanced Practice (CAP2) leading APN practice development, standardization, and change across the country with an online database. 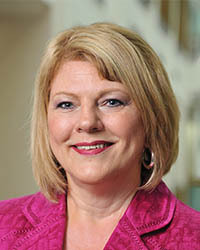 She was the 2016 winner of the Midwest Regional and the National nurse.com GEM Award winner for Excellence in Community Care. Dr. Rubin discloses that he has consulted for Abbvie, Abgenomics, Allergan, Inc., Amgen, Celgene Corporation, Forward Pharma, Genentech/Roche, Janssen Pharmaceuticals, Merck & Co., Inc., Miraca Life Sciences, Mitsubishi Tanabe Pharma Development America, Inc., Napo Pharmaceuticals, Pfizer Inc., Salix Pharmaceuticals, Inc., Samsung Bioepis, Sandoz Pharmaceuticals, Shire, Takeda, and Target PharmaSolutions, Inc.; and received grant support from AbbVie, Genentech/Roche, Janssen Pharmaceuticals, Prometheus Laboratories, Shire, Takeda, and UCB Pharma. Dr. Melmed discloses that he has consulted for AbbVie, Celgene, Janssen Pharmaceuticals, Medtronic, Merck, Pfizer Inc., RedHill Biopharma, Samsung Bioepis, and Takeda. Ms. Rubin has nothing to disclose. Joshua Kilbridge, medical writer, has nothing to disclose. The University of Chicago Pritzker School of Medicine designates this enduring material for a maximum of 0.75 AMA PRA Category 1 CreditTM. Physicians should claim only the credit commensurate with the extent of their participation in the activity. Nurses and other health care professionals will receive a Certificate of Participation. For information on the applicability and acceptance of Certificates of Participation for educational activities certified for AMA PRA Category 1 CreditTM from organizations accredited by the ACCME, please consult your professional licensing board. This activity is supported by independent educational grants from Pfizer Inc. and Merck. ©2018 MCM Education. All rights reserved. None of the contents may be reproduced in any form without prior written permission from the publisher. The opinions expressed in this educational activity are those of the faculty and do not necessarily reflect the opinions or recommendations of their affiliated institutions, the publisher, The University of Chicago Pritzker School of Medicine, Pfizer Inc, or Merck. Any medications, diagnostic procedures, or treatments discussed by the program presenters should not be used by clinicians or other health care professionals without first evaluating their patients' conditions, considering possible contraindications or risks, reviewing any applicable manufacturer’s product information, and comparing any therapeutic approach with the recommendations of other authorities.